I am totally in love with this new series by Nazarea Andrews. It is a fantastic spin on the life of Vampires and the humans they (sometimes) co-exist with. 15 years after Calissa Destantos, Scion to Cantelie House, announced to the world that not only was there a cure for the plague (Bracken) that was ravaging the world but that the people who could provide it were vampires, we are thrust into a world of intrigue, fear, passion, hate, suspense....really it has it all. The Blood Scion starts on an ominous note for ever-intrepid reporter and non-morning person, Farley Hart. Assuming this is any other day in a world that is completely different than the one she was born into we get a glimpse at her before the stress of this new world is thrust upon her shoulders, and as she mentions, her life changes forever. Vampires essentially rule the world, radical groups are bombing the vampire houses in anger and frustration and Farley is about to find herself caught in the middle fighting for her beliefs and a group of people she has grown up hating. I loved Farley, she is a take no crap kind of character, does she occasionally make bad choices, definitely but she is no simpering heroine that can't make a decision to save her life. Farley lays it out there, she fights for what she believes, what she knows is the right course even if it goes against her carefully constructed views. She knows how to take blame but she also knows how to place it when it is due. I also loved that she is truly vulnerable though. She turns to her brother when she finds her self 'lost' and scared. She opens herself to a world she thought she understood but is coming to learn is not as 'black and white' as she once believed. In this new world she finds herself in we are re-introduced to Octavian, the House Canteile's Blade (assassin for a simplified explanation) and unknown to Farley a Prince. He is a dynamic character that I just can't get enough of. Like Farley he has his faults, his lying in his secrets, but he is such a strong character in so many other ways that it is easy to forgive him for not being open with the people around him. I love his character for his strength of conviction, in that way he is much like Farley. He holds his family (even if they do frustrate and anger him) close to his heart and will do anything he needs to protect them, but ultimately as the blade his allegiance lies at the feet of the House Scion, he is the Scion's ultimate protector, the Scion's teacher, even the Scion's friend, but NEVER, what he craves more than anything now that he knows Farley,...the Scion's lover. 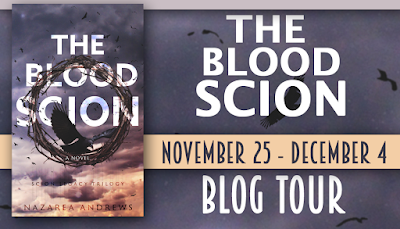 The Blood Scion is a fast paced book that is easy to get lost in. It is full of characters you will love and want more of, particularly the Patriarch and Sulla for me. My only complaint and the only reason that it became a 4 star read for me (and this I am sure is all me) is because the politics, the system, it can bog you down. Trying to remember who came from where, who belongs to whom or where, what each position is at it's basic level. I found myself flipping back and forth trying to keep up with all the information that goes along with the structure of the Vampire House systems. On that note let me say, PLEASE, please read The Scionless House (a prequel novella) first. 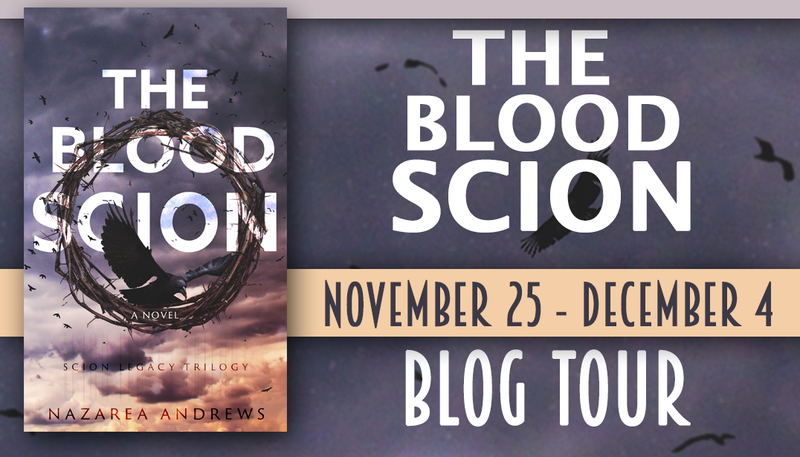 You will understand Octavian so much more if you do and it will truly make things more clear when you start reading The Blood Scion. This is a great new take on the vampire world, something a bit different and well worth the read. I highly suggest it to any Paranormal Romance fans and I can't wait for the next book...I am honestly already sad that this is only a trilogy, I want stories for all the current 'main' characters and I don't see that happening in three books, boo *insert sad face*. Grab up a copy, get lost in an amazing new world, and fall in love with some pretty awesome characters!